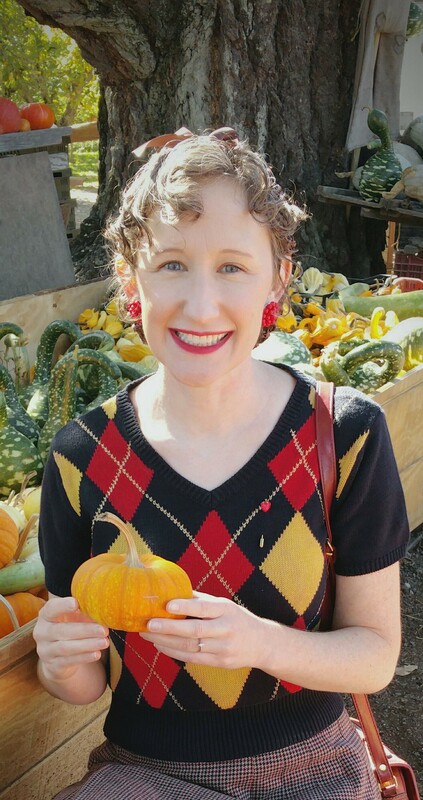 I can no longer resist the call of pumpkins! For a short time at least, I’m seizing the moment to enjoy pumpkin everything! Pumpkin coffee, pumpkin bagels, pumpkin candles, and especially pumpkin decor! (I’ll send any haters a batch of pumpkin scones to console them.) 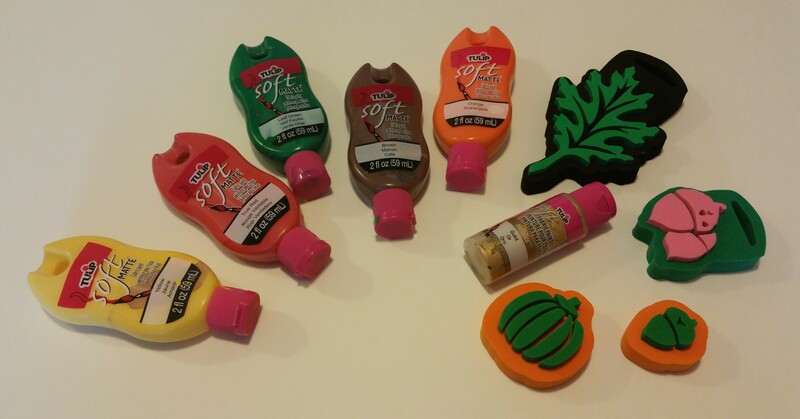 Here are a couple of my favorite pumpkin crafts to help you join the pumpkin party! 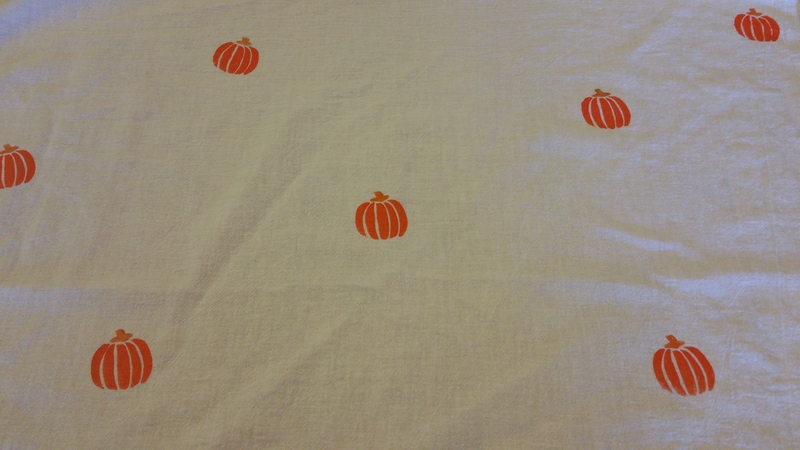 I combine my love of both pumpkins AND pom-poms with this first project! You guessed it- I’m making cute lil’ pom-pom pumpkins to add to my fall centerpieces. You can create these fuzzy little guys using pom-pom makers, different textures of yarn, and green pipe cleaners! 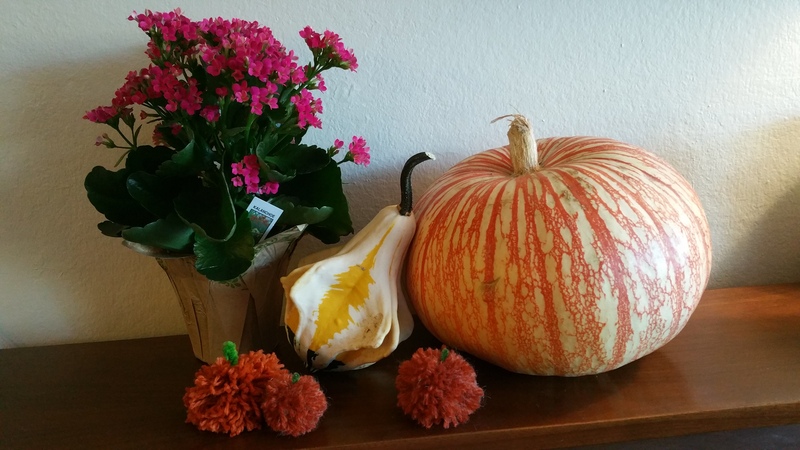 Check out our Pom Pom Pumpkins tutorial for the fun, easy DIY! 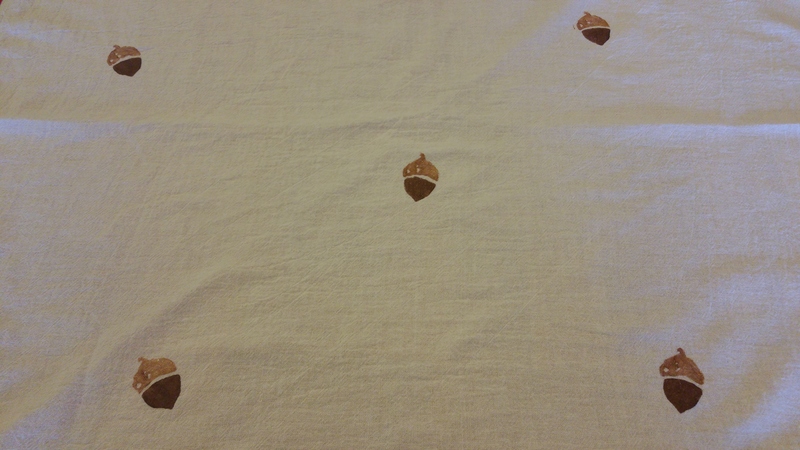 While I am very attached to my pom-pom maker, I also have a thing for fabric paint and stamps. 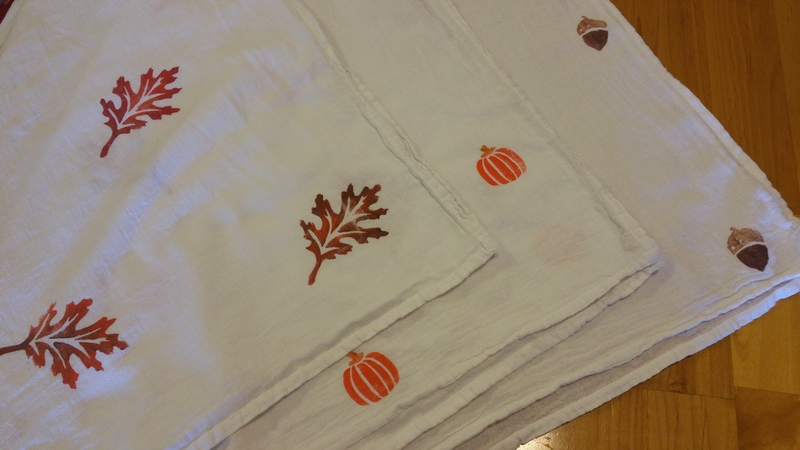 I couldn’t pass up an excuse illuminate plain dish towels with fall motifs! 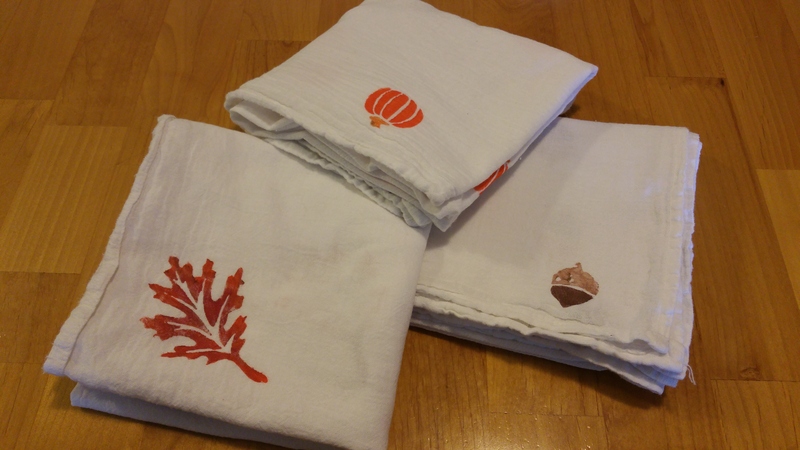 You can find the complete towel stamping tutorial in our post Nifty Gifties: Stamped Dish Towel! 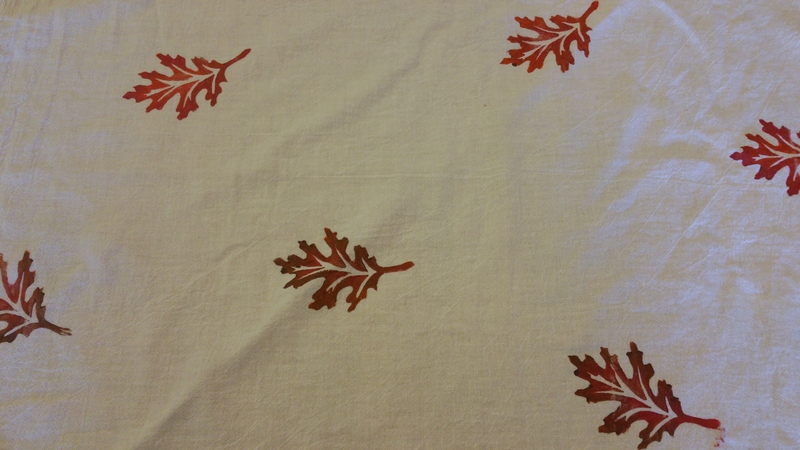 I used foam stamps from the craft store, but you can also make your own! 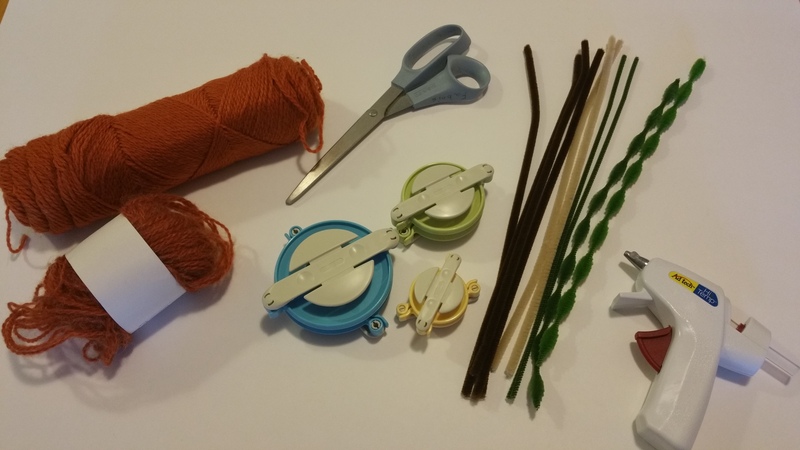 For step-by-step stamp making directions, check out our Funny Bunny Scarf post! These make such cute fall gifts! I have given them away so fast, that I have yet to make some for me! Of course, no pumpkin quest could be complete without real pumpkins! 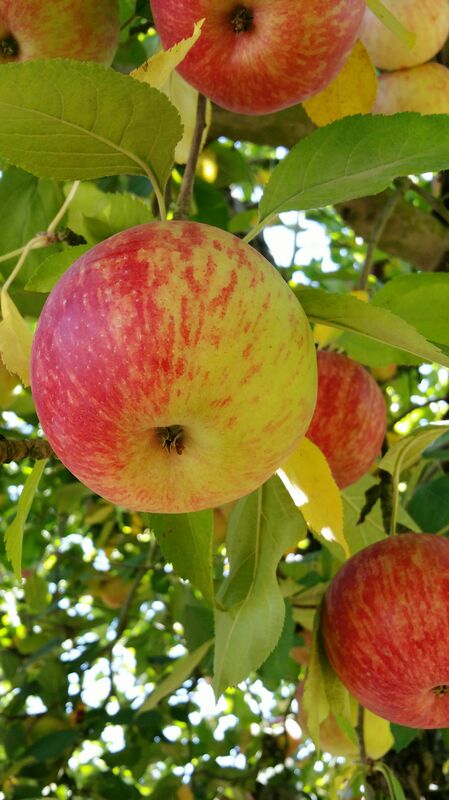 We made our yearly visit to a local farm to pick the perfect pumpkin, taste some apples, and snap pictures of the beautiful produce! 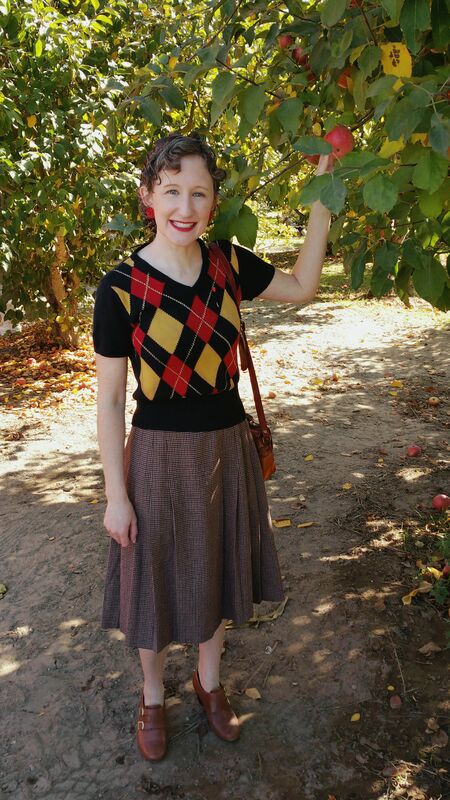 I was super excited to finally be able to wear this sweater and vintage wool skirt! 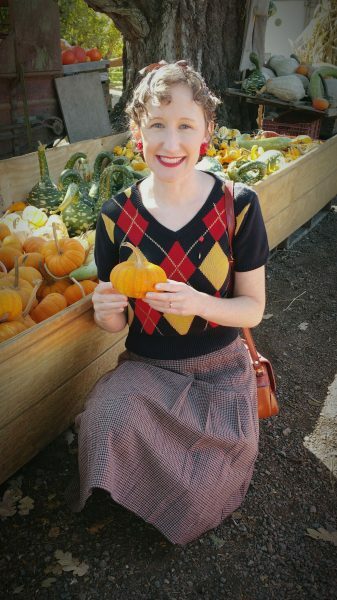 To add to the 1940’s vibe, I accessorized with vintage earrings and a homemade snood hair net. You can find all the snood-making details in our DIY 1940’s Snood Hair Net post! Happy Pumpkin Time, Everyone! Enjoy it while it lasts!